When you spread some jelly on your peanut butter sandwich in Usdan, do you ever wonder about where that sweet stuff comes from? What about when you pick up a jar of jam from Weshop? Well, wonder no further! Jeffrey Hill is the mastermind behind We Bake, We Jam, the jelly and jam provider for the University. 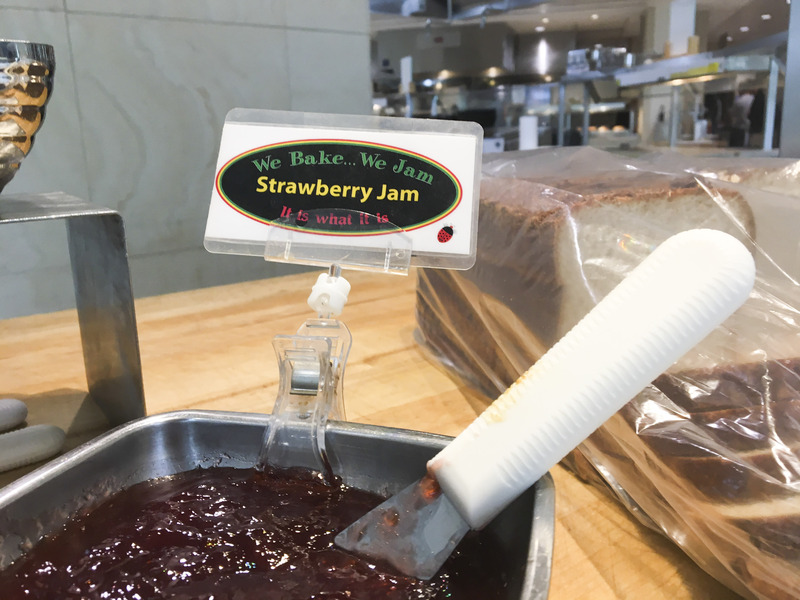 Sold in Weshop, and served in Usdan and other Bon Appétit dining halls on campus, We Bake, We Jam is making a name for itself here at Wesleyan. Jeffrey has worked at Wesleyan for 38 years as a chef, where he also met his wife. It was his wife who helped him come up with the catchphrase, We Bake, We Jam. Hill explained that his wife was a baker, while he was making jam at the time. On Hill’s labels for his jars of jam, you might see a small ladybug on the bottom right. That insignia exists to honor Hill’s stepdaughter Lindsey, who loved ladybugs. She unfortunately passed away at 25 due to complications from dystonia. Hill went on to explain how We Bake, We Jam, got started. His business has flourished since then. After Hill started We Bake, We Jam, the Bon Appétit dining services approached him and asked him if he wanted to sign up for the Farm to Fork program, which purchases foods from local farmers. Hill was approved for the program, and now he makes all of the jelly and jam on campus. Hill says that he is thrilled that Bon Appétit wanted to buy his products and that they are what really keeps him in business. One of Hill’s main priorities, when he makes his jams, is to make sure that everything is all natural with no other additives. So, just how does Hill make this magical jelly? The process is no joke. It takes a lot of work to deliver jelly to the University. In the future, Hill says that he would like to expand his product line. The next time you slap some jelly on your toast in the dining hall, remember to thank Hill for all of the hard work he puts into making We Bake, We Jam such a big success.